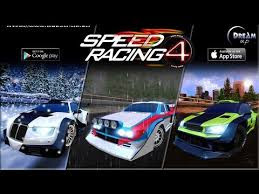 “Speed ​​Racing Ultimate 4”: THE CONSECRATION! Drive prestigious Rally Car under the Sun, Rain and even Snow and Storm! Take the wheel and exceed your limits! Over than 60 Challenges on over than 20 different Tracks with different weather: Snow, Rain, Sun, Thunder…! • Drive Prestigious Racing Cars!